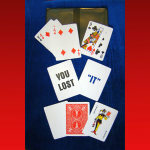 Double sided extra long card turns a joke trick into a miracle! Long Card is no longer available. 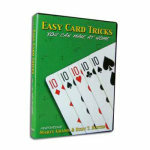 Peter Monticup created an EXTRA online video EXCLUSIVELY for our customers who purchase the Long Card trick! They'll think you got it wrong- but what a surprise! 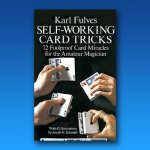 This is a specialty card that allows a surprise ending to a trick. TWO tricks, actually! If you like the card trick Peter performs in the demo, buy this card from us and get the password to the video that teaches Monticup's QuadraStack trick! The idea of this special card is to perform a simple "Is THIS your card" kind of an effect. 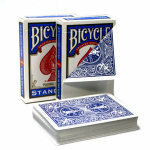 For example, your spectator secretly chooses the 8 of Hearts. 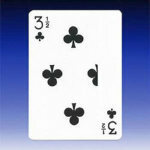 But when you start to show the card you think he selected- it is the 3 of Hearts. Of course you are wrong! 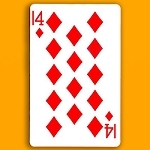 So you show MORE of the card- it becomes a 4 of Hearts. Then a Five of Hearts. Then a Six of Hearts, a Seven of Hearts. 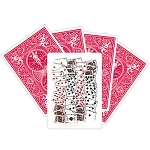 Finally you show the whole card, and it does indeed match the spectator's selection- the EIGHT of HEARTS! 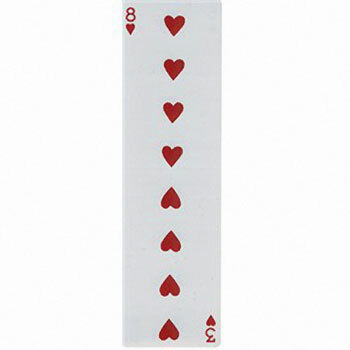 One side shows the 8 of Hearts, and the other the 8 of Spades. You will be able to use this card for either of TWO different forced cards! 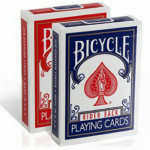 PLUS- this card is made of heavy duty silkscreened plastic, for years of use. No worry about dirt, wear or water! 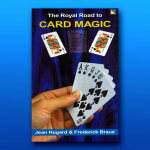 For this card, you would need to force either the 8 of Hearts or the 8 of Spades card. 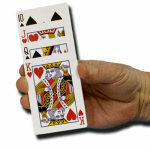 See the MagicTricks.com video below to learn The Crosscut Force, an easy way to force the card. Card is made of silkscreened plastic. 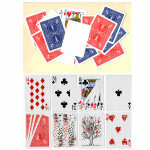 Card is the width of a regular Poker sized playing card.